There are so many uses of a document should you need it under DFA red ribbon. My sister currently works for the consulate office in Ali Mall branch and this is what I learned from her. Please be reminded that other local government agencies also serve authentication services under red ribbon too. Why is it important to have your document marked and sealed? 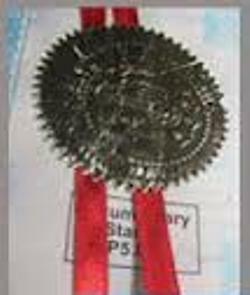 First off, the trust factor when we talk about authenticity, your papers turn unquestionable when bearing the seal and the red ribbon marking by the Department of Foreign Affairs. binding and legally accepted in any government as well as public offices all over the Philippines. I actually had a sample document here from my sister. It's a SPA made in Japan from the Philippine embassy authorizing me to handle all transactions regarding acquisition of her civil service illegibility certificate and transcript of records in college school. She will be using it for job promotion purposes. Please also note that many government offices offer the same service like the DFA red ribbon for documents but there is one express authentication online service you can apply for today. I will highlight this particular discussion later in aid of helping OFWs and those living abroad or have migrated to other countries and are looking to have any document under DFA red ribbon. Other issues may include renewal, expiration, price / fees, location, contact numbers and actual or official website. I will definitely cover these areas to so stay with me as I discuss them below. Remember that there are times you will need the seal for purpose of passport application in any of the authorized offices. See the step-by-step procedures listed below as well as the how much you are going to pay for DFA red ribbon / authentication fees per copy of the document. How Much is DFA Red Ribbon Document Authentication Express Service in DFA? Each document that you want to have under DFA red ribbon or sealed in any agency of the Philippine government had an equivalent cost. The fees will depend usually on how many copies you want to have done with. Yes, its a per copy cost on latest update. Note that this doesn't include any charges for door to door delivery if and should you opt in for a service either from LBC Express or DHL door to door delivery. See my list below. The certified true copy of the document that needs to be authenticated. Authentication must be done by the corresponding office where it was issued. Pay the fee of Php 100.00 for regular processing which takes 5-7 business days and Php 200.00 for rush processing, out by 2-3 business days. How to Claim DFA-Authenticated Documents? There are a couple of ways to claim and get your DFA red ribbon sealed document and one is to get it by yourself by personal pick up and the other is by applying for a door to door delivery service either by DHL or LBC. The procedures of claim are stated below for your guidance. 1. You will be given a stub after the application process. Just go back to DFA on the date indicated on the stub. Don 't forget to ask where the claim section is before you leave the cashier or pay counter. 2. Drop your stub on the box beside the “Releasing” Office. A security guard will most likely guide you and get applicant papers. 3. Wait and sit down in the waiting area. Wait for your turn and for your name to be called in the different customer service windows. For people who have regular jobs and busy business geeks, there is a ways to get any of your document listed above under DFA red ribbon or by any other local Philippine government agency. This is called as the DFA Express Service and just like any other extra service, you get to pay for your document with a worry-free fee in case you want to apply for this type of service. You can visit this page - http://www.authenticationexpress.com/ for more information, inquiry and questions.